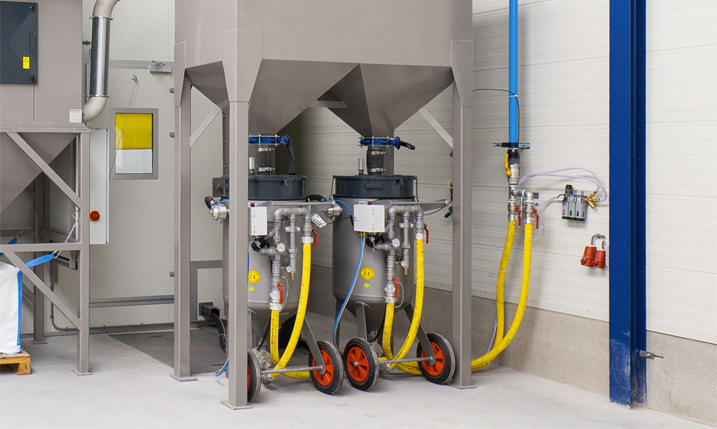 Holland Mineraal has a complete line of PED (I suggest to mention this in full) approved blast pots, built according to the European Pressure Equipment Directive 97/23 EC and approved by DNV. 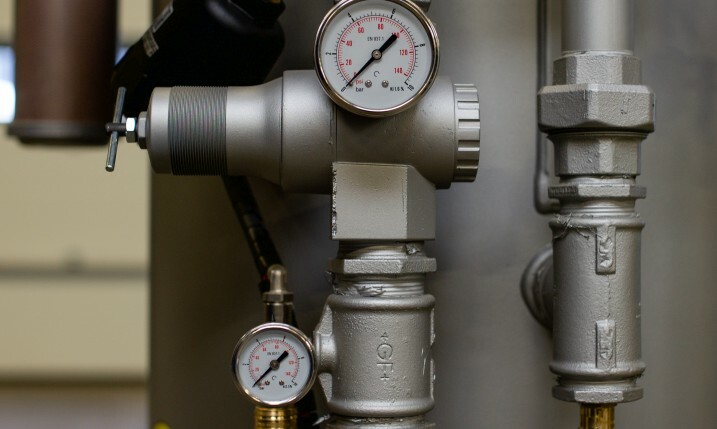 All blast pots operate on the pressure jet principle and are equipped with a double-lined remote control system with deadman’s switch (safety switch). 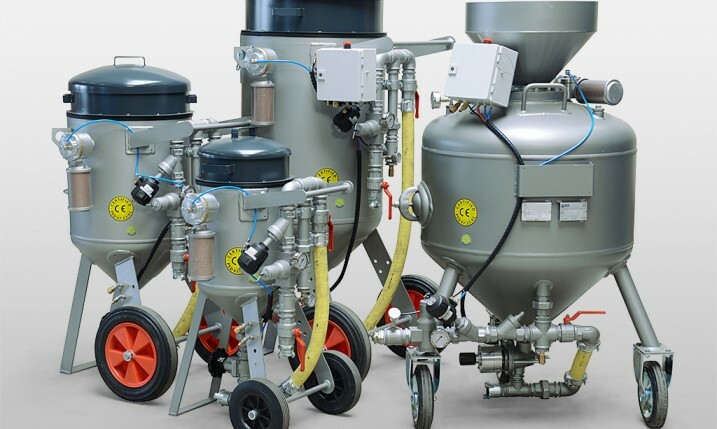 The transportable blast pots are available with either a manually operated Saunders type abrasive metering valve or with a pneumatically controlled valve, the UDV-P. 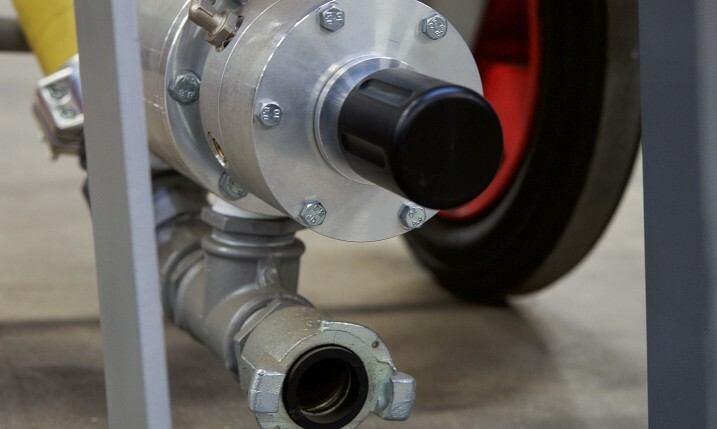 The UDV abrasive metering valve can be very accurately adjusted, so that the consumption of abrasive /m2 is drastically reduced, which ultimately results in a more environmentally sustainable and cost-conscious operation. 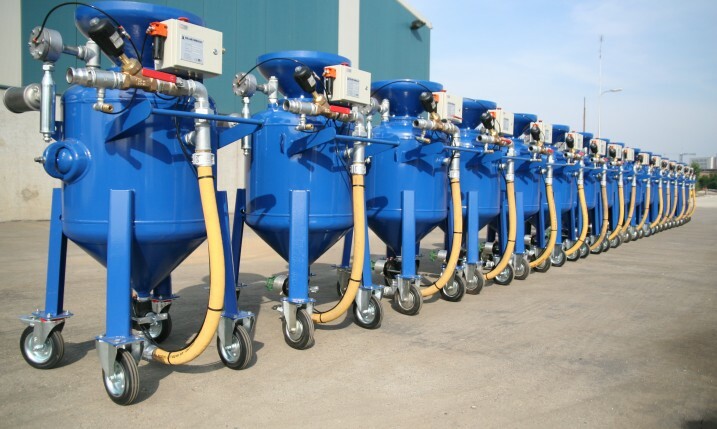 The blast pots are available in several practical sizes: 40- 100 – 200 and 300 litres. 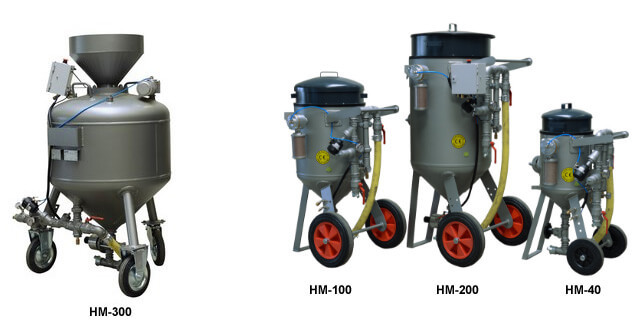 Furthermore, the pressurized blast pots can optionally be combined with a pressure regulator, helmet filter set, etc.